The current mystery of the missing Malaysia Airlines flight has striking similarities to the 1983 disappearance of a Korean airliner carrying the late Congressman Larry McDonald, which also went missing in Asia. Investigators trying to determine what happened to Malaysia Airlines Flight 370 after it was reported missing in the Gulf of Thailand on March 8 have had little to go on: no distress signal from the flight, no wreckage found and no severe weather reported in the vicinity that could have caused a crash. Even the oil slick previously attributed to the flight turned out to be a false lead. More shocking, the passengers’ relatives said that they were able to call the cell phones of those missing and hear a ringing tone, which should have been impossible if the plane crashed into the ocean. Malaysia’s military also believes that it tracked the aircraft 200 miles off course over the Strait of Malacca, a new revelation that sparks memories of the disappearance of the Korean airliner carrying Rep. McDonald (D-Ga.) in 1983 during the final apex of Cold War tensions. According to the official account, Korean Air Lines Flight 007 was shot down by a Soviet Su-15 interceptor in the Sea of Japan after violating Soviet air space during its flight from Anchorage, Alaska to South Korea. McDonald, whose body was never recovered, was perhaps the staunchest anti-communist and anti-globalist in Congress at the time, a fact that helped fuel the ongoing controversy over the circumstances surrounding the flight of which little, if any, debris was ever found. After only 10 minutes after take-off, Flight 007 deviated from its assigned route and continued to fly in this direction for the next 5.5 hours, leading it straight into Soviet air where it was allegedly destroyed by a Kaliningrad R-8 missile according to the official report. The International Civil Aviation Organization later said that the flight’s deviation was perhaps due to the aircraft’s autopilot operating in the wrong mode. Yet none of the pilots attempted to adjust the flight’s path even though they were so off course that they could not even establish direct radio communications with air traffic control. Even more troubling is that several other factors, such as pegged out indicators and different weather conditions reported from other aircraft on the proper flight path, should have easily alerted the crew that they were no where near the proper course. On top of all this, the Soviets never fully revealed their findings from the aircraft’s recovered black boxes. But many have stated that the flight’s circumstances which led to the demise of Rep. McDonald weren’t a coincidence at all but were rather planned. 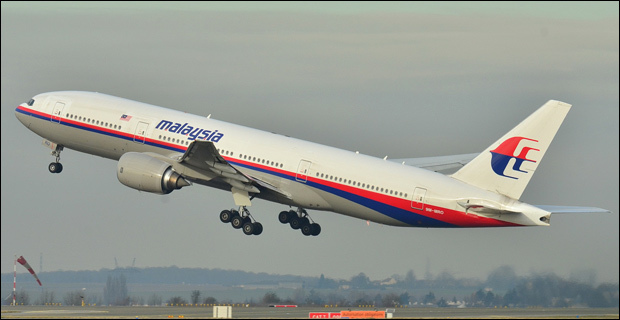 In the same vein, the mystery surrounding Malaysia Airlines Flight 370 has also sparked similar discussions.